Welcome to the History Department at The Henry Box School. The History Department firmly believe that History should be engaging with an aim of instilling a passion for the subject in our students. As such, we provide a wide-ranging curriculum that seeks to accommodate the interests of all our students. 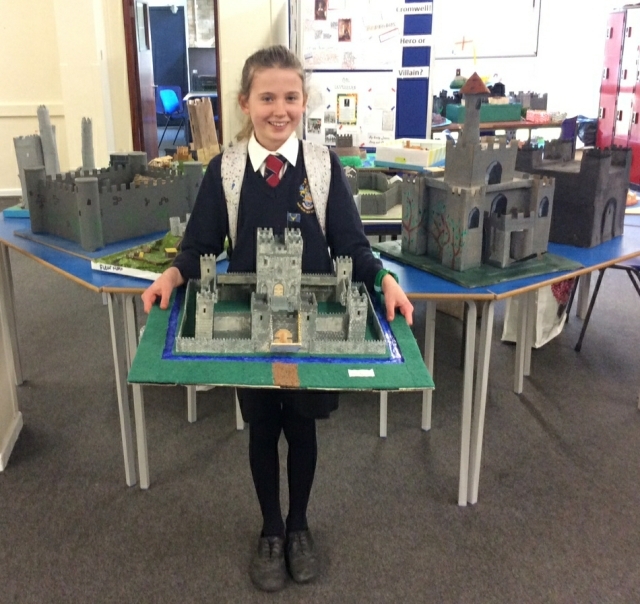 This approach to teaching and learning in the Department has resulted in History being one of the most popular options subjects on a regular basis. Outlined below is the list of topics that we currently offer at Key Stages 3, 4 & 5. The Henry Box History Department believe that education should be about enthusing students through the study of relevant and captivating topics. Our ultimate goal is to inspire passion in all our students so that they have the desire to not only achieve highly in the subject, academically, but also to take their understanding and curiosity beyond the confines of the classroom. We believe that this is achieved by equipping students for the outside world through a challenging curriculum that aids the development of key skills and knowledge. In this sense, we want students to become independent inquirers who have the opportunities to explore and discuss historical concepts and ideas for themselves, thus placing the emphasis on student centred learning. To provide students with a greater understanding of the world we live in and to equip them with the skills and knowledge to understand and evaluate events that occur. To develop communication and literacy skills that allows students to express their opinions clearly and to work effectively with others. The Department aims to achieve its vision, aims and objectives by utilising a range of teaching methods. The emphasis on student-centred learning underpins our practice and is informed through student voice. We deliver the curriculum using methods such as individual, paired, and group work, using ICT, role plays, debates, essays, the use of audio and visual resources as well developing opportunities outside of the classroom. As a department we strive to provide students with focused support and feedback that enables them to progress confidently throughout their time studying our subject. History is delivered in this way as we believe that it provides an inclusive curriculum that is accessible and exciting for all. The Year 12 course introduces students to a pivotal period of English History: the Wars of the Roses 1450-1471. The course allows students to develop an appreciation of continuity and change across the period and they will become acquainted with such compelling characters as Henry VI, Warwick the Kingmaker, Edward IV and the White Queen. Students will also study Tsarist and Communist Russia between 1855 and 1917 and will be able to explore the changing nature of autocratic rule, the rise of opposition and the use of force and compromise to control it. The linear A level course will build upon the areas and skills studied in Year 12 and develop them further with the addition of an independent study undertaken in Year 13. In Year 13 students will continue looking at the Wars of the Roses and Tsarist Russia but will consider 1471-1499 for the depth study and 1917-1964 for the breadth study. In addition to these units students will also undertake an independent coursework unit. This will be run as a series of taught study skills at the beginning of the course and will then moving to one-to-one guidance. This support will be based on a student’s specific topic. Students will have almost complete free reign to choose a study area of their choice providing it covers approximately 100 years and does not duplicate content delivered in the other two components. There will be a list of possible questions for students to consider along with guidance on the History teachers’ areas of expertise. A student may have complete freedom if s/he can demonstrate the suitability of their question.